Liberal High School sophomore swimmer Jacob Sautter is the Hay Rice and Associates Athlete of the Week. Sautter placed second in the 100 breaststroke and the 200 IM Tuesday in Hutchinson. Saturday in Wichita, Sautter helped the team place fourth of eight teams with a second place finish in the 50 free, third in the 500 free, and third in the 400 free relay. 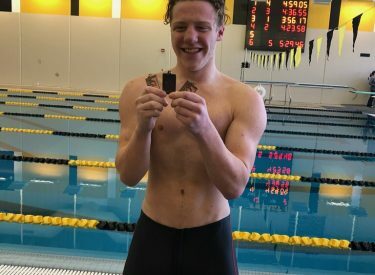 Sautter opened the season by achieving state consideration time in the 50 free when he took second in a time of 24.36. Sautter also received state consideration time last year. He and the Redskins compete Thursday in Garden City.